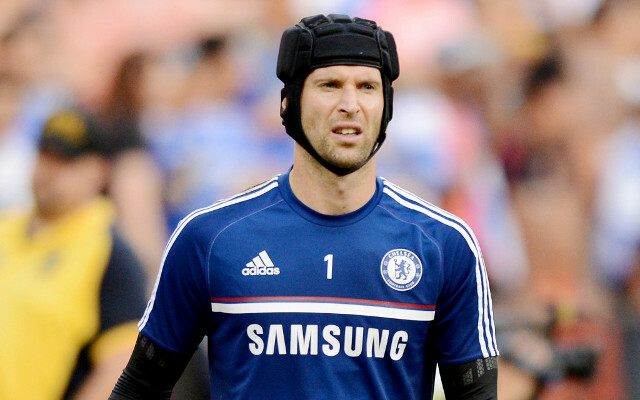 Chelsea goalkeeper Petr Cech would be a great signing for Arsenal if the Blues let him sign for one of their big Premier League rivals, according to Gunners legend Ray Parlour. Hernandez Goal v Atletico – (Video) Man Utd ace sends Real through! Get Arsenal goal videos with our FREE Sports video app! The Czech Republic shot-stopper is one of the best goalkeepers in the Premier League on his day, but has been unfortunate to lose his place in the Chelsea team this season due to the emergence of promising youngster Thibaut Courtois in that position. Cech certainly looks far too good to continue as a backup at Stamford Bridge, and may seek an exit from the Blues this summer in order to ensure he is a regular starter again elsewhere. According to the Daily Express, Parlour welcomes rumours of interest from his old club Arsenal in signing the 32-year-old, who he believes would add some real quality to Arsene Wenger’s side. However, the ex-midfielder is unsure if Chelsea would sell to rivals Arsenal, saying: “He would be a great signing for Arsenal if Chelsea will let him go there.